If you don’t know about BBC’s ‘The Rap Show’ on Radio 1 (and later 1Xtra) then where the hell have you been for the last 24 years? Personally I don’t want to know! ‘The Rap Show’ was birthed in late 1994 as a part of the BBC’s big shake up to attract a younger audience and Hip-Hop was an essential part of doing that! 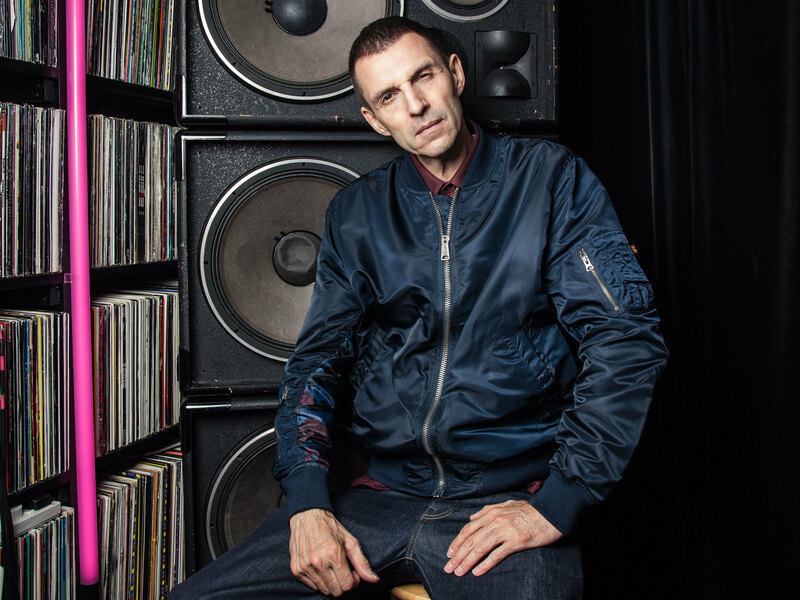 The shows first host, Tim Westwood, joined the BBC, from Capital FM, to give it some authenticity as Westwood was one of the most respected Hip-Hop figures in the UK having close relationships with a number of big name US Hip-Hop artists and DJ’s. For me personally ‘The Rap Show’ changed my life when I first heard it back in November 1999. The show I initially heard had Eminem, Proof and Paul Rosenberg killing it with some insane freestyles, prank phone calls and other madness from the Shady camp! From that moment I knew I was coming back the next week for more! I followed the show religiously from ’99 to about 2005 but as the Hip-Hop landscape began to change (for the worse), and the shows host started to become a more publicly known character (more known for saying ‘baby’ a lot and less for his crazy knowledge of the culture he had been supporting for the previous 25+ years), the show started to lose the edge I had always been drawn too. It played nothing but wack commercial Hip-Hop as opposed to the raw, underground street music that would never break the UK Top 40 no matter how catchy the hooks were as it was just too damn grimy…and I loved it! However every now and again I would check the show as it still meant something to me! At the end of the day I wouldn’t be a part of the Hip-Hop culture if it wasn’t for Tim Westwood and the Rap Show! Hell, between 2010 – 2011, I listened every weekend when I had my daughter sleep over and truthfully the vibe was dope and made it worth listening too again! The urban landscape was in a different place from 5 years before and was pretty similar to the early 00’s that I had grown up on! After that I didn’t listen again until Westwood’s last ‘Rap Show’ in September 2013 which, despite not being a great show, made me feel quite emotional because after all these years of listening, on and off, to this bigger than life DJ, holding it down every Saturday night, he was finally leaving after serving the BBC for the last 18 years (he resurfaced the following Saturday though on Choice FM which literally weeks later re-branded to Capital Xtra)! However his replacement, Charlie Sloth, in my opinion, was the best choice to continue the legacy of BBC’s ‘The Rap Show’. Charlie had the energy and enthusiasm to rock the show every Saturday night, and add his famed ‘Fire in The Booth’ segment to it as well, then Sloth, and the BBC, had a real winner! I checked out Charlie’s first show, with Slaughterhouse and The Movement killing their respective ‘Fire in The Booth’ sets, and thought it was pretty dope for the new wave of Hip-Hop fans to get their weekly fix of all the latest commercial and underground bangers from the UK and US! Just like Westwood’s later shows I listened to Sloth’s show every now and again, mostly to see which artist was setting the booth on fire that week, just to pretty much show some love to the UK’s premier rap show that made such an impact on me all those years ago! However this year it was confirmed that after 5 years of hosting ‘The Rap Show’ Charlie Sloth was moving on and leaving the BBC (Charlie actually left a few weeks prior to his scheduled last show, on November 3rd, due to some controversy at the Radio Academy’s Audio and Radio Industry Awards). With Sloth gone the show is currently off air with no announcement of a new host in sight (1Xtra’s Seani B is currently holding down the 9-11pm Saturday night slot) which currently leaves the question open for who is going to take over the famed rap show? The DJ who will takeover not only has to have a great knowledge of Hip-Hop, and the culture, but also fill the boots left behind by Charlie Sloth and Tim Westwood! DAMN!!! I’m hoping the BBC won’t just use this as a reason to abandon one of the most influential specialist shows in the history of British radio and they actually find a suitable replacement to carry ‘The Rap Show’ torch!